One of the most advanced facilities of its kind in the region, the Aster Centre of Excellence in Orthopaedics & Rheumatology at Aster Medcity offers specialised services for comprehensive management of musculoskeletal disorders in adults and children. a physical rehabilitation division and a 24-hour emergency wing for trauma & accident care. The separate entrance to the facility ensures quick and personalised medical attention to patients. Aster Centre of Excellence in Orthopaedics & Rheumatology is the first and only facility in Kerala to offer advanced sports medicine services. The exceptional team of doctors comprise experts from all sub-specialities in musculoskeletal care joint reconstruction, sports orthopaedics & arthroscopic surgery, paediatric orthopaedics, orthopaedic oncology, orthopaedic spine, rheumatology, hand surgery and orthopaedic anaesthesia & critical care..
Multidisciplinary in approach, they provide customised, evidence-based treatment to patients, with help of critical care experts, infection control physicians, speciality-trained nurses, physical rehabilitation experts, clinical psychologists/ counsellors and qualified technicians. Aster Centre of Excellence in Orthopaedics & Rheumatology offers a comprehensive range of medical technology and clinical support including South Asia’s first OR1 Fusion Digital Integrated Green OT certified surgical Suites; South India’s first IntelliSpace Critical Care and Anaesthesia (ICCA) ICUs; Kerala’s first True Beam Linear Accelerator for high-precision radiotherapy, 3D C-arm with navigation and Philips fourth generation Time of Flight 16 Slide PET CT.
An Orthopaedic Surgeon with more than 15 years of experience, Dr. Bobby Jacob is an expert in advanced arthroscopic management of degenerative conditions/ sports injuries of the shoulder and elbow; multi-ligament injuries of the knee; complex poly trauma and pelvic/ acetabulum fractures and Ilizarov technique. 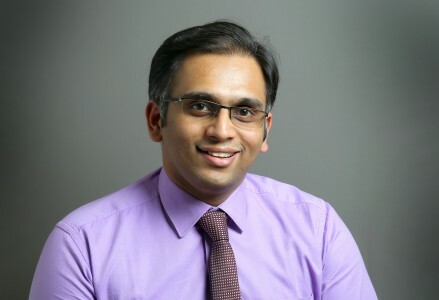 Trained at some of the finest institutes in the United Kingdom and India, his areas of special interest include comprehensive management of shoulder instability, SLAP tears, labral injuries, rotator cuff problems, joint replacement and complex fractures. 4 years of specialised training in comprehensive management of complex injuries of the shoulder, elbow and knee soft tissue. Speciality training in advanced arthroscopy, knee and joint replacement and sports injuries and complex poly trauma. A Rheumatologist with more than 4 years of experience, Dr. Joe Thomas is an expert in diagnosis, treatment and management of arthritis and other rheumatic diseases in adults and children. His fields of special interest include rheumatoid arthritis, systemic lupus erythematous and vasculitis. An expert in joint reconstruction with more than 11 years of experience, Dr. Vijay Mohan specialises in hip and knee replacement surgery. 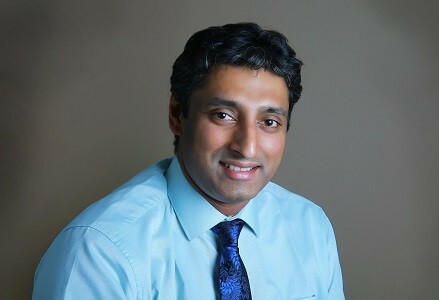 Trained in Europe, Thailand and India, he is adept at advanced robotic orthopaedic procedures. His areas of special interest include arthroscopy and complex trauma involving the lower limb. Trained at: Arthrolab Munich | The European center for Knee Research, Belgium| ZNA Middleheim, Antwerp| Heilih Hart Hospital, Lier| Chulalongkorn University Hospital, Bangkok| Ameos Klinicum Halberstedt, Germany. 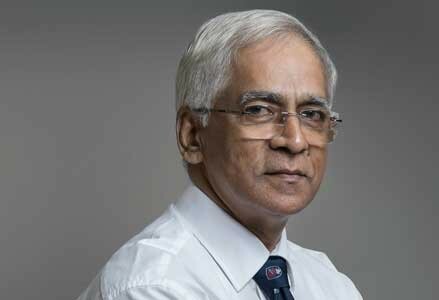 Consultant Orthopaedic surgeon and Associate Professor at the Amrita Institute of Medical Sciences, Kochi. 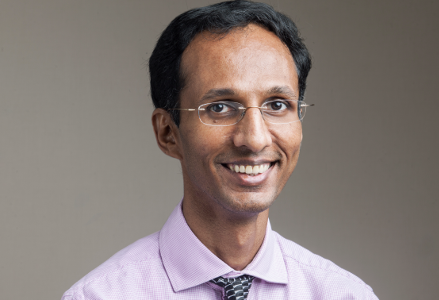 An Orthopaedic Surgeon who specializes in spine surgery, Dr. Sabari Girish has more than 10 years of experience (including 5 years in spine surgery) to his credit. 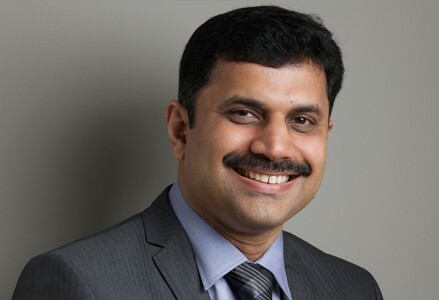 Trained in advanced procedures like microscopic spine surgery, his areas of expertise include management of degenerative diseases, tumours and deformities of the spine and orthopaedic/ spinal trauma. 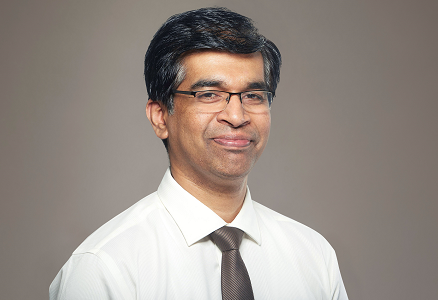 An Orthopaedic Surgeon with more than 16 years of experience, Dr Bibu George is an expert in joint replacement surgeries and management of complex orthopaedic trauma. 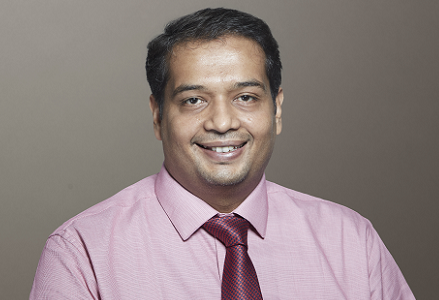 Trained at some of the finest institutes in the United Kingdom, his areas of special interest include primary knee and hip replacement, partial knee replacement, complex and revision knee replacement. 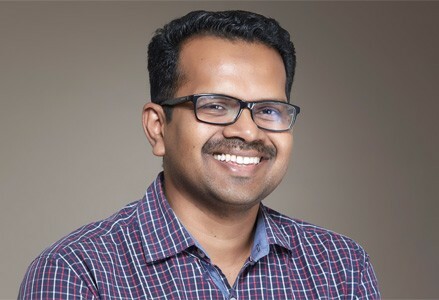 An Orthopaedician with 5 years of experience in general orthopaedics and trauma management, Dr. R Riju is trained in paediatric orthopaedics, joint reconstruction, simple and complex trauma management. His areas of special interest include minimally invasive surgery and robotic surgery and deformity correction, arthoscopy and arthoplasty. He is also a trained ITLS provider. 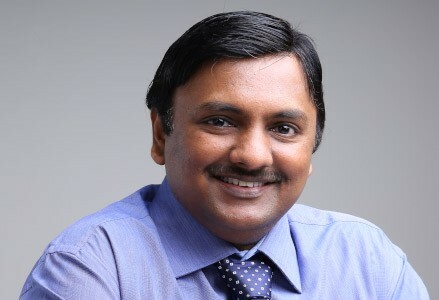 The first Sports Medicine Physician in Kerala and the sixth in India; Dr. Sidharth J Unnithan specialises in prevention and management of sports injuries and optimisation of performance in sports professionals through advanced techniques like biomechanics, exercise medicine, athlete enhancement, nutrition and sports psychology. 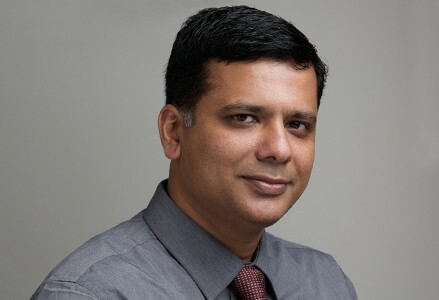 An Orthopaedician trained in management of musculoskeletal disorders and trauma care, Dr. Shyam Gopal’s areas of special interest include arthroplasty, arthroscopy and other orthopaedic oncology.